Duration2 hoursWhenAll year Round We are closed on MONDAYS These 2 hour trips depart at: 09:00 12:00 15:00 WhereWe start at the LOWER TABLE MOUNTAIN PARKING AREA & INFO OFFICE just off Kloof Nek RoadWeatherWe don't do trips in heavy rain.What to WearClosed Shoes and a Wind Breaker for the ChillThings to BringClosed Shoes Jacket - the weather changes quickly Cash to buy your pictures after the trip - R 250 Guests or SpectatorsYou have to be able to ride a Bicycle to participate in this activity. 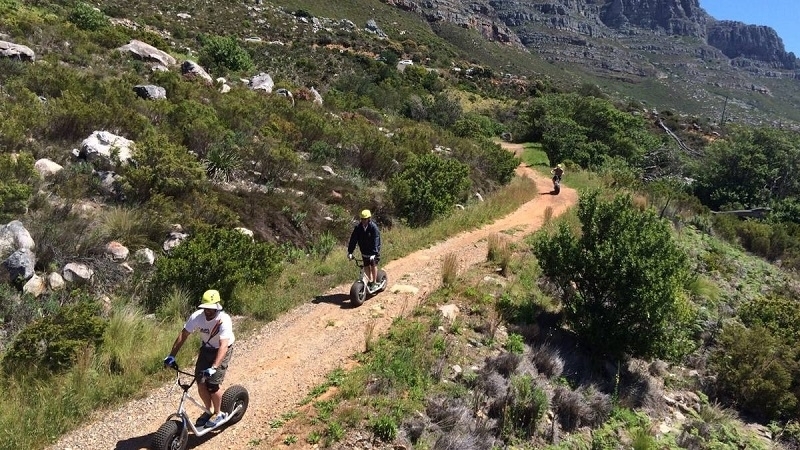 Scootours® is a unique and family friendly way to experience nature and the surroundings of your holiday destination. 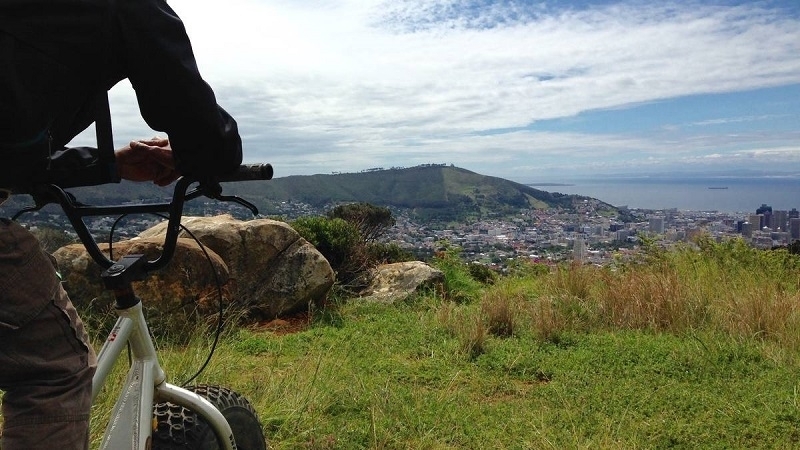 Cycle with an e-bike through the picturesque Jonkershoek Valley and visit 2 wine farms and a coffee shop in the heart of town. Wine Farms are conveniently close to each other and linked with cycling track that makes cycling safe. Included in the tour is 2 wine tastings and a coffee. Duration3 hours 30 minutesWhenAll year roundWhereStellenbosch Tourism Information Centre 36 Market Steet Stellenbosch, 7600WeatherThis service is weather dependantWhat to WearComfortable clothesThings to BringWarm Jacket Money for shoppingGuests or SpectatorsKids under the age of 18 cannot do wine tasting but will be treated with a soda. ExclusionsLunch - there are great lunch options very close to the start and finish spot - ask your guide. Kids under the age of 18 cannot do wine tasting but will be treated with a soda.